In the past I have written about more advanced scouting techniques using today’s technologies but this time we’re going to get back to the basics. Down to ground level if you will. And for reference, my scouting begins from the moment I step outdoors and lasts all year. It has become instinctive, natural, to always be looking for that next great deer hunting spot. Many of my own best deer hunting spots were found while fishing, kayaking, hiking, bicycling, and berry picking. When I was young and learning from my dad we looked at the basics, found a few nice deer trails, confirmed recent activity, then built a makeshift brush blind. Returning several weeks later I could only hope it looked as promising as it did previously. We never talked primary trails, bedding areas, travel corridors, feeding areas, or hunting pressure. It was real cut and dry and to dad’s credit I shot my first deer on the very trail from that very same brush blind. So, while it may have seem like very marginal scouting, it worked. And sometimes that’s all that matters. The fact remains. If you walk upon a spot that’s laden with deer trails, fresh sign, rubs, and every little goodie you hope to see when scouting for deer…hunt it! It doesn’t matter if it only took a few minutes to find this hotbed of activity. If I could give you a single sentence of advice in this situation it would be to check carefully to make sure nobody else has already staked a claim to this little gem. And maybe another tidbit wouldn’t hurt. Unless you’re staring broadside at a trophy buck, don’t shoot the first deer you see. Something many hunters fail to realize is the presence of old deer sign. Often this comes in the form of deer rubs. Most other deer sign will have long disappeared in the time-span of a year but deer rubs simply grow with the environment. Take for instance this old deer rub. Nothing too major but pretty visible on a lightly traveled deer route. In a few years from now that same tree will heal but often the scar left behind will appear almost splayed open. And of course the rub will now be closer to eye level than near the ground since the scar gains height while the tree grows. This is the one obvious I see many hunters miss while scouting. They see the scars but are not able to identify the true source. 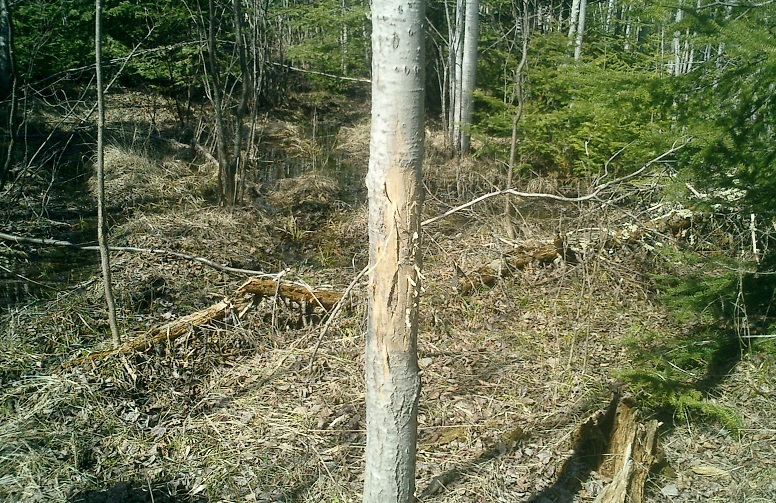 When you see fresh rubs and old scarred trees it’s obvious a buck, or several bucks, have been staking claim to the area for years and your percentages of bagging a trophy has just increased. Another form of old deer sign can be found on the ground in the presence of shed antlers. You won’t find many in areas of free-ranging deer but the presence of shed antlers are obvious clues that a buck once roamed the trails where you now walk. And the best part of finding a shed is you get a real representation of the deer and possibly the caliber of the local deer herd. It’s solid evidence that takes away any guesswork. And finally there’s the most obvious each of us encounters on nearly every scouting trip. Deer droppings. If this is all you’re finding of interest you have a little more legwork to do. At least you’re in deer country. While you have probably read or heard about primary and secondary deer trails you may not have an understanding of their importance. To explain it in the simplest form, primary is prime and secondary is second. The primary trails are the ones most used by the majority of the local deer herd. The secondary trails have often been associated with more buck travel than doe. Personal experiences show secondary trails as an alternate route to the same destination. A deer that’s been around long enough knows instinctively when something isn’t right. Whether a foreign scent hangs in the air, a noise in the distance sounded out of place, or a visual cue tells the animal their range has been visited, it signals the deer to make a change in travel. Typically I view all trails through the same lens as my starting point and choose those that are most used. Especially when hunting during the rut. This doesn’t mean you should discard the use of smaller, less-traveled deer trails. They will in time converge with main trails and this convergence is where I prefer to setup. One of the best trail systems you can find is described as a spoke pattern such as found on the wheel of a bike. When many trails all come together you’ve found a central deer hub. This is a point where nearly every local deer will pass during the course of several days. Usually this is directly related to a feeding or bedding area. Great care should be taken not to disturb this spot too much. Once identified your best action is to view what you can from where you stand if possible. Take a few photos, some notes, and back away preferably the direction you came. I would guess 98% of the time you will never find such a perfect scenario. 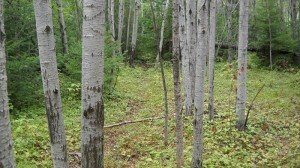 The likely outcome will be several trails all meeting at a single point and continuing from there as one deer trail. Including your primary and secondary trails. This is about as perfect as it will get for the majority of deer hunters. In reality this scenario can provide even better hunting as deer filter past from different angles presenting numerous shot options which can be critical for the archery hunter. There’s a statement that’s been noted many times that the intersection of such trails always point towards food or water. It stands to reason that the animals are of course moving towards or away from a food or water source. 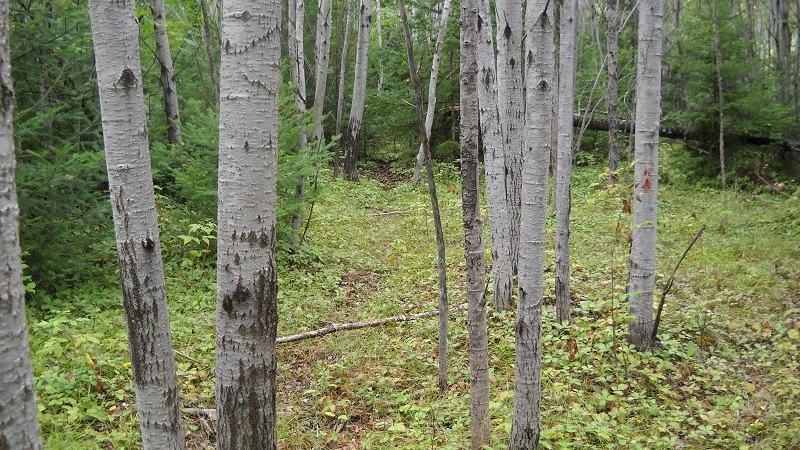 Trails and rubs are great clues but the main components of the cycle require a food source, possibly water, and of course a core area where the deer are secure and bedding takes place. Find the opposite ends, feeding and bedding, and you find the keys to movement. Finding bedding areas will require legwork and patience. And I would suggest bringing along some decent quality optics. A small pair of binoculars will work fine as long as they gather enough natural light. A deer bed is visually nothing more than an imprint on the ground where a deer bedded. Usually oval in shape and varying in size for each animal. 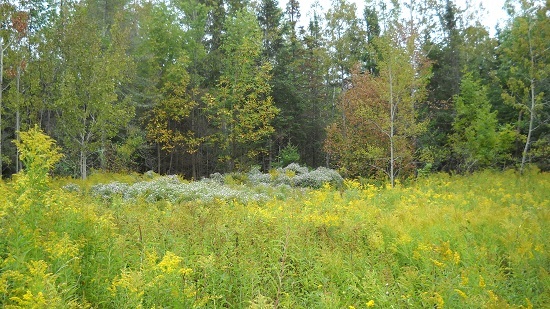 Beds can be found in open fields and deep thickets. If you can envision the area, along with prevailing wind direction, a deer will put all of the natural elements in it’s favor. Scent, sight, and hearing will all work together. Often deer will bed with their backs to the wind and use their vision to scan the forward area. With their forward and aft covered their fantastic hearing is left to scan the sides for approaching trouble. Chase a deer from it’s bed too many times and it will begin to bed elsewhere. Changing your entire deer hunt. Most often you won’t actually find the deer bedding. It’s more likely you will “jump” the deer from their beds. If you’ve recently scared several deer at one time check the ground for beds. If you find this is indeed a bedding area it is advisable to back out and not push forward. The deer feel this is a safe area and it won’t take much to change their mind about that. The idea is to stay back when you expect you have found a bedding area. Glass the area in the early morning hours to try and catch the deer moving from their beds. They don’t lay down in the same exact spot every time but you can expect a similar routine to take place each morning. Take note of the deer and their travel routes and you’ll have a huge advantage on these particular animals. Just to note: If you believe you will ever get close enough to wild-bedded-deer to actually watch them rise from their beds in the morning, it won’t happen. And it shouldn’t. Deer will begin to move long before daylight ever cracks our skyline. And if you’re close enough to see that, then you’re what’s making them move. Patience. Identifying a food source that is being utilized by the local whitetails can be difficult. As browsers, a deer will not leave a swath of eaten field behind it in the wild. They will be picking their way through the woods or fields plucking the most nutricious greens as they move along. Normally the deer will browse as they move towards their main feeding grounds. This could be a farm field, abandoned apple orchards, old stands of mast-producing oaks, or simply a green field. The fact is the food source will change throughout the year. Deer will begin to eat sources that they may have left behind earlier in the season. And as these food sources change the deer will adapt and you will need to adapt your hunting strategies. When hunting the food source specifically your techniques will depend on the size of the food source itself. Deer entering into a huge farm field can be hunted right at the source while deer browsing to a smaller field may require your setup to ambush the animal along the trail. Often the deer will enter the smaller fields earlier in the evening and later in the morning. When the deer begin to enter the feeding areas later in the evening, after dark, you will need to again change your tactics. The biggest hurdle of hunting an established food source is the access the deer have every hour of the day. As the seasons change and the deer become aware of your possible activity they begin to feed more under cover of darkness. This is where knowing the feeding and bedding areas comes into play. Since you understand where the deer sleep, where the deer eat, and the trails they use to move between these two points, you can take advantage of the situation. I have a small rule of my own when determining the factors of travel. If I can walk at a normal pace and reach the destination in 15 minutes, I calculate an hour for the deer to travel the same route. This is not saying it will take that long. I calculate this as an average taking into consideration the browsing and precautions a deer will follow as it moves along. Effectively I can add hunting time to my day by moving closer to the bedding grounds and setting up along a deer trail scouted earlier in the pre-season. Often this is all the hunter needs when deer begin feeding later in the evening. You can use this same scenario in the morning in an attempt to catch deer that have begun to work their way back to their bedding areas before daylight. And this is where you put your plan into action for the upcoming deer seasons. 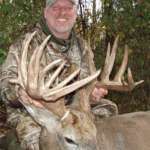 Pre-season scouting is vital to success in knowing what the local deer herd, the animals you intend to hunt, in the hours that you plan to be afield. I consider myself an advanced whitetail deer hunter for the years I’ve hunted and the quality of animals I’ve harvested. Every time I come here an find a new article I am treated to a tidbit of info that I hadn’t realized applies to my hunting. As always, great work. 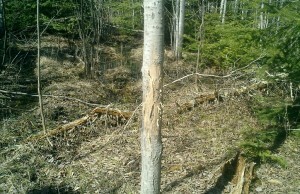 Never ever dawned on me about the rubs leaving the marks on the tree. i see them all the time and you are right they are close to my eye level; and i get my buck every year from that spot. pretty cool dude.